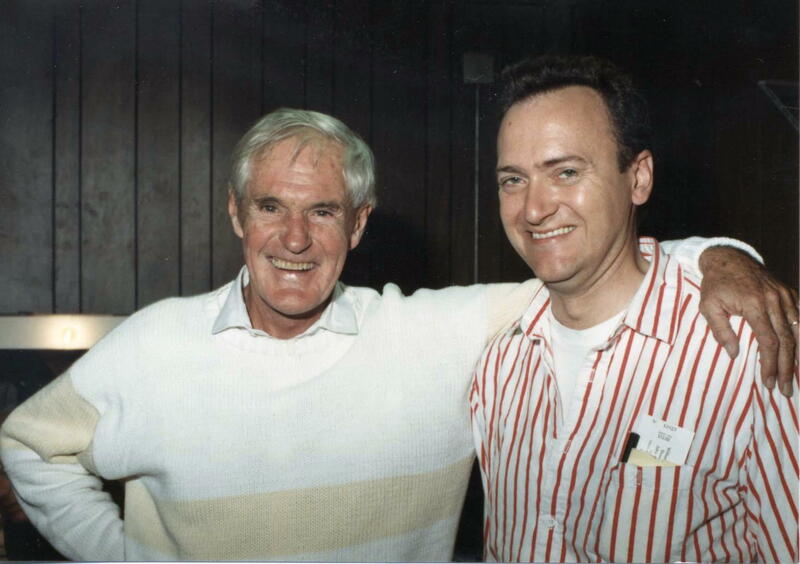 Dr. Timothy Leary, Ph.D. (1920-1996), Harvard University professor, then Acid King of the 1960s, and George Laughead, at Liberty Hall, Lawrence, Kansas. Back stage after Dr. Timothy's performance at the River City Reunion, September 12, 1987. "Turn on, tune in, drop out!" Photograph by Doug L. Miller.